Here are one leader's top tips to up-level your career in 2019. 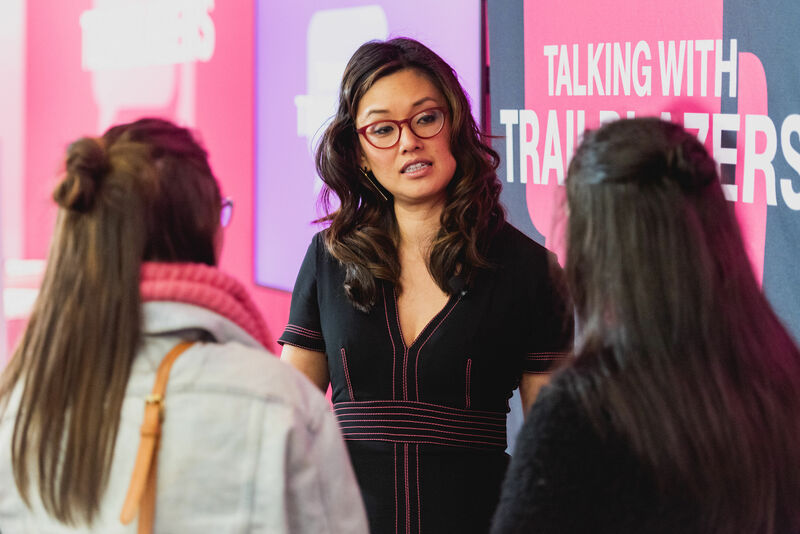 NYSE Executive Vice Chairman Betty Liu visits T-Mobile headquarters to offer employees advice on how to get ahead. Recently, Betty Liu, the newly minted Executive Vice Chairman of the New York Stock Exchange, award-winning journalist and founder of career advice website Radiate, visited T-Mobile’s Bellevue, WA headquarters as part of its Talking with Trailblazers guest-speaker series—which features some of the brightest, most innovative, creative and diverse leaders from across the country talking about topics that matter—to share her top tips on everything from building a personal brand to snagging a sit-down with Warren Buffett. Here are 10 key Trailblazer Takeaways to restart your road to success. Stay tuned for more Takeaways from T-Mobile’s ongoing Talking with Trailblazers series.